Croquet is an ideal way to spend a summer's afternoon. It provides some gentle exercise without being too strenuous, it is suitable for all ages, involving a combination of mental and physical skills, making it is possible to socialise at the same time as you are playing (unless of course you are getting very serious about it!). Croquet essentially involves hitting your ball through a series of hoops that forms a 'course', it is easy to have a fun game on almost any size and shape of lawn, and to adapt the course to suit the available area. Most people play very happily on a normal patch of grass. This said, the better the quality of the lawn, the less likely you are to be frustrated by random hollows and bumps. If you want to play a semi-serious game, then we recommend playing on a rectangular area of lawn, about 17.5 metres by 14 metres, and which is free of any obstructions. These dimensions may be adapted to suit the lawn area available, and the quality of the grass that you have, but we would not recommend using larger areas unless your lawn is top rate. 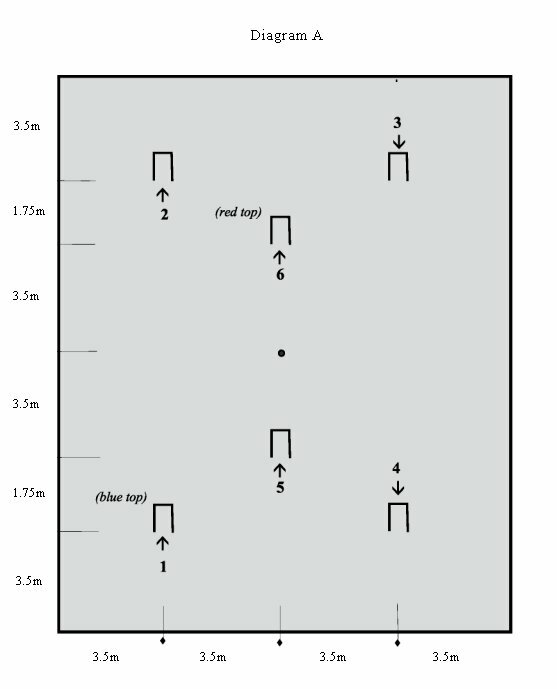 For details on how to set up your croquet lawn see the diagram on our lawn layout page. While it is possible to buy individual bits to make up a croquet set, it is generally more cost-effective to buy a set. Sets are sold with a box, or carry bag to keep everything together. Our croquet sets contain, four or six croquet mallets six hoops, one centre peg and four or six balls. We hope you find a Croquet Sets to meet your needs and budget. Look under Choosing a Croquet Sets for general advice or phone us at the Croquet Association Shop.